At the end of the cabinet making line, it all comes down to this: quality in, quality out. Of course, the same argument could be made on behalf of quantity. 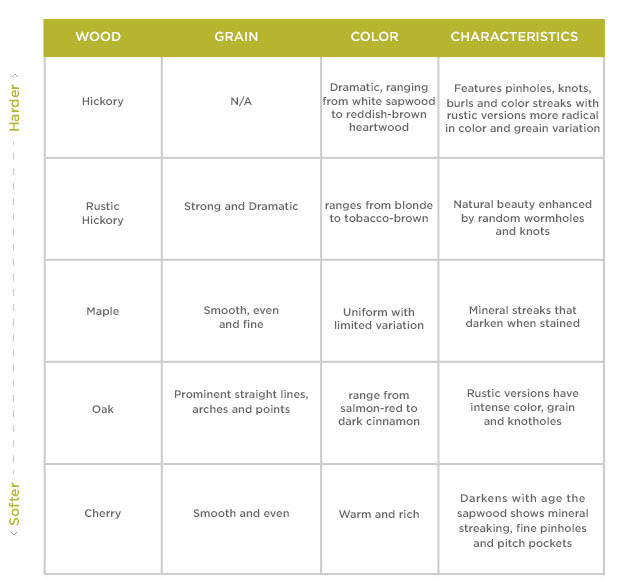 Why do we offer so many wood types and finishing options? Because while all our customers expect the same attention to detail, no two dreams are ever the same. Wood is a natural material. As such, seasonal growth patterns and weather conditions contribute to the uniqueness of the grain and color in each piece. These conditions also add the swirls, burls, mineral streaking, fine pinholes, pitch pockets and color streaks that you see in all fine natural wood cabinets and furniture. Later, as the wood is cut, sanded and rubbed with a finish, all of these features combine to give your wood cabinets luxurious character. Variations in the grain and color of hardwood cabinetry are more noticeable in natural or light finishes, while a darker finish choice may make the cabinet wood's diversity less apparent. These variants are part of the natural beauty of hardwood, not the manufacturing process. As a result, our warranty cannot cover differences in color, grain and other natural contrasts. Nor can it cover possible differences in color when adding new cabinetry to those previously installed. Natural beauty enhanced by random wormholes and knots.